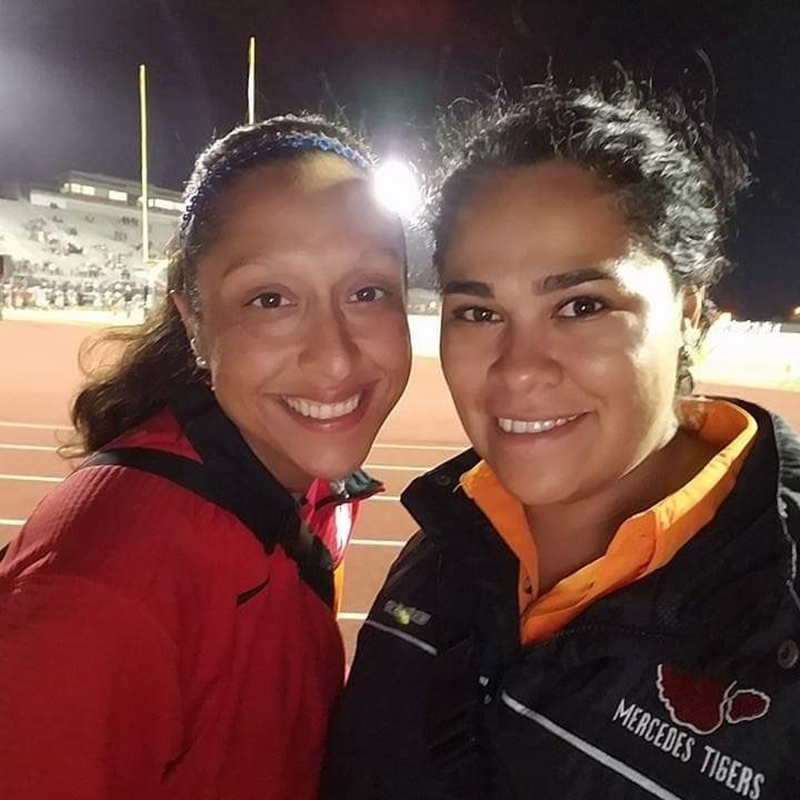 Natalie Coronado-Herrera is from Brownsville, TX, Class of 2002-Porter High School, Graduated Texas State University 2008 B.S. Athletic Training, Certified Athletic Trainer, Licensed Athletic Trainer, Graston GTM-1 Certified, Red Cross CPR Instructor. Her Current City and School/Workplace is Mercedes, Texas-Mercedes ISD. She has been involved with VATA for 11 years. Natalie thinks it is important to advocate for our profession and make sure that we show our value as athletic trainers. She served on the VATA board for 5 years and served on the Gridiron Heroes Fill the Helmet Committee, SPATS Committee, and Honors and Awards Committee. Natalie currently serves on the SPATS committee and Honors and Awards Committee. Natalie has worked 11 years as an athletic trainer. My father is a coach and I grew up on the sidelines and loved the Friday night lights. When I was in high school I joined HOSA and was interested in competing in Sports Medicine. I approached my high school athletic trainer (Marty Castillo) and asked him if he could teach me all about sports medicine. Thankfully, Marty was a great mentor and I have loved the profession ever since. I love being able to work with athletes and know that I can make a difference in their lives. I love helping people and my day is made when our athletes return to their sport and have a successful season. Has Athletic Training provided you an opportunity to travel, either in or out of the country? What is your favorite memory from this experience? I was involved with the Region 3 US Youth Soccer Program and have traveled to Costa Rica and Guadalajara, Mexico. My favorite memory in Costa Rica was ziplining in the jungle and the food, of course. In Mexico, I enjoyed the beautiful scenery, meeting the nicest people ever, and the food! My advice is to always treat athletes like you want your kids/family to be treated. Sometimes we get tired and burnt out but it is important to focus on our love for the profession and the reason why we got into athletic training. Another piece of advice for secondary athletic trainers is to always call parents. Parents can be your worst enemy or biggest ally. It may take extra time but it's important to call them to make sure that they are aware and are kept in the loop of your plans.